Awesome, awesome, awesome. What a show!!!! Scott asked Elodie to marry him, but soon afterwards he was the one to be surprised when she showed him the folder with tons of ideas she had saved up over the years for their wedding. This girl knew what she wanted and was going to make the most out of it. Everything was done with great joy and with amazing perfection. Guests couldn’t stop talking about the awesomeness of Elodie & Scott’s wedding. 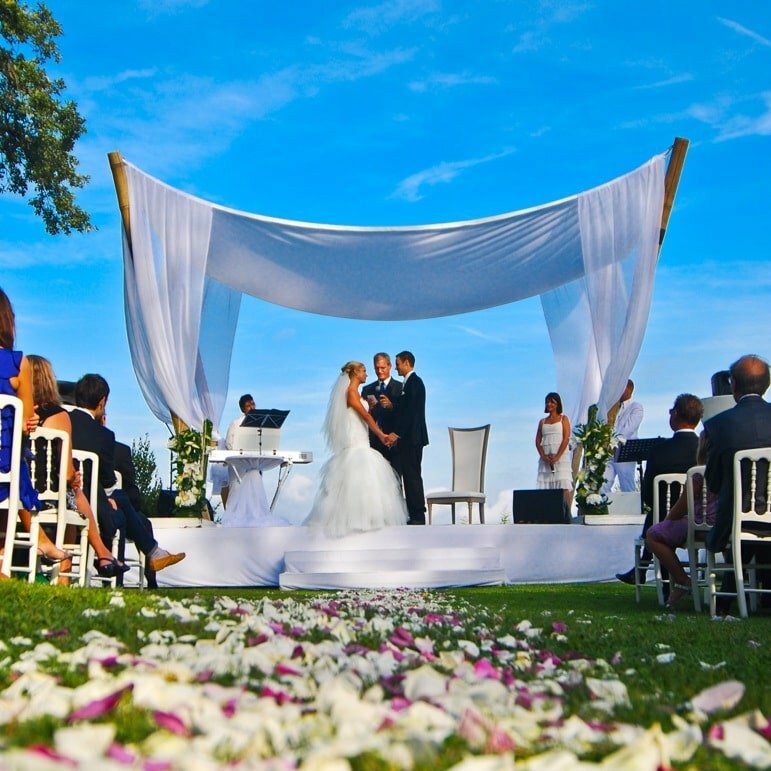 Every time you turned a corner you received new eye candy and a new experience: the Château Castellaras perched on top of a hill, the emotional outdoor wedding ceremonie, the lighting, the singers, the dancers (including the bride! ), and seeing the parents completely moved by the experience. No one had experienced a wedding like this before and it was difficult to realize this reality and not a dream. Elodie and Scott got lifted up into a dream and will not be floating back down again. Sorry Scott, you knew what you got yourself into! You’ll never again have a dull moment your life. Enjoy!